Easily transportable steps that are secure for users are an ideal choice for many workplaces, making the performance of tasks more efficient. Our economy cup steps with rubber treads and single handrail are a great choice, offering a safe and secure way to reach high up areas easily and securely. They are mobile steps with cup enclosed retractable swivel castors which provide easy manoeuvrability. Fully welded construction with a powder coated finish gives the steps a stylish appearance and durability. The steps lower on to a firm rubber foot when weight is applied, which protects carpets and other floor surfaces and keeps the steps stable. 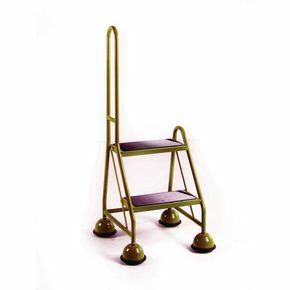 There are two treads and a single handrail to assist the user and they have a maximum load capacity of 120kg. 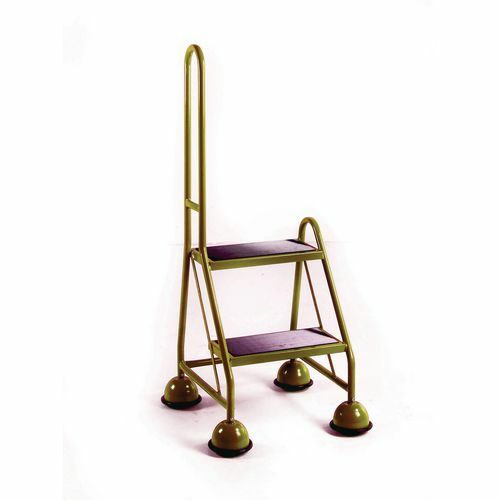 Our economy cup steps with rubber treads and single handrail with two treads are a great addition to the workplace and they are available in four colours; blue, green, red or yellow. They come with a 12 month guarantee and FREE UK Delivery.